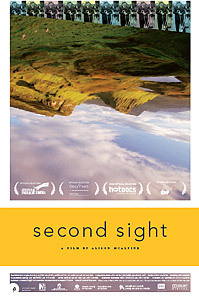 Second Sight (2008, Director: Alison McAlpine): Through the wit and charm of near-80 Donald Angus MacLean, filmmaker Alison McAlpine explores the oral tradition in northern Scotland on the Isle of Skye. Donald “Angie” is quite a character, an entertaining rogue with an eye for the ladies and an ear for a good story. A former preacher, Donald drives around the town in his red car (his name written across the trunk), his dog in the passenger seat, visiting a few of the island’s even more entertaining characters. These residents reveal their stories of premonitions, spectres and ghost cars. Their ability to see what is unseen, known as second sight, is set against the hills, moors and mist that make up the island. However, these are not simply ghost stories—at least, that’s what the residents would have you believe. They tell their tales in earnest, retelling them as if what they witnessed happened only hours earlier. McAlpine certainly captures the overall eeriness of the subject while at the same time framing the beautiful landscape that is Scotland north. With a few laughs along the way, Second Sight will make you think twice about the things you cannot see. This entry was posted in Documentaries, Film Festivals, Hot Docs and tagged #hotdocs08, scotland. Bookmark the permalink. Campbell, thanks for your comment. The film was shown as part of the Hot Docs film festival here in Toronto back in April. Unfortunately, many fine documentaries don’t get theatrical releases. I suggest you get in touch directly with the film’s director, Alison McAlpine. On the film’s web site, her email is listed as [email protected], or you can call her at (416) 539-8642. You can also subscribe to updates on the film’s web site (click the Contact tab).